Take exit 310C, continue on N Plankinton Ave., and drive to N Water St. MKE Ale House will be on the right. Take exit 1 E to merge onto N Milwaukee St toward Downtown. 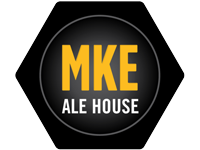 Turn left onto E Clybourn St and turn left onto N Water St. MKE Ale House will be on the right.